Submitted by Mike Quigley on 2 December 2013. It is an honour to receive the Charles Todd award this evening, which I would like to do on behalf of all of the people of NBN Co, who have put so much of themselves into building the foundations of the NBN over the last few years. I would also like to recognise the efforts of Peter Harris and his team, in what was DBCDE (Department of Broadband Communications and Digital Economy) before it was given a new name. They had to grapple with many difficult policy issues and do the heavy lifting on the legislation required to make the NBN a reality. So, my thanks to the Telsoc members and committee, for this recognition of the many people who contributed to the NBN in the last four years. My thanks also to Telsoc, and particularly Graham Shepherd, for the opportunity to talk to you this evening. Finally and especially, our thanks should go to Telstra for hosting us all this evening, and providing the venues and the video links that allow us here in Sydney to be connected to Melbourne and Adelaide. My aim this evening is to give you a perspective on what was achieved in the first four years of NBN Co, the challenges that the company faced, and how it overcame them. I believe NBN Co got most things right and, in 4 years, made considerable progress. Of course we didn?t get everything right. We had to make some mid course corrections - as is usual for any project of the size and complexity of the NBN. On balance, I think that the folks in NBN Co can be proud of what they achieved. I say that because, if you put the politics aside, and objectively assess what the company has put in place, from an absolute standing start, it?s quite an achievement. Many of you will have worked on large Telco projects. They all seem to follow similar trajectories. I will mention just three, but I have seen, as no doubt you have, many more. The first is the Telstra Future Mode of Operation or FMO, which provided a major upgrade of Telstra?s network and associated systems. The second was the Optical Submarine cable and repeater facility, which was built and operated at Port Botany and Liverpool. This was one of the few submarine optical system manufacturing facilities in the world. The third was the AT&T, FTTN U-Verse project, which was one of the first major rollouts of an IPTV service by a large Telco. I worked on all three of these projects. They were big ambitious projects and they all followed similar trajectories. They all experienced start-up problems, which resulted in significant delays in the first few years. But the sources of the problems were uncovered, they were tackled and they were fixed. For all three of these projects it was difficult and frustrating in the early years. But all three projects eventually hit their stride, and then progress was better than expected. The NBN was no different, except that it was not one project, but a number of very large projects being undertaken concurrently while the company was being built. It was also the vehicle for a major industry restructure. And as a large public infrastructure project it was continually in the public spotlight - as it should be. I am going to provide you with the evidence this evening, that the NBN was following that same path, of knocking over the problems one by one and ramping itself into a scale rollout. And it was doing this without allowing any large increases in costs. The NBN Co management team was acutely aware that they were making decisions that resulted in expenditure of taxpayer?s money. So they were not going to allow the company to pay more than it should for any equipment or service. There were times when simply paying more, would have made the life of the management team considerably simpler. But we were not prepared to do that, unless we were convinced it was justified. So let?s look at what the people of NBN Co achieved, since the company got started at the end of July 2009. First, they built a company that employed, at the end of September, almost 3000 people. This required building all the internal systems and processes including; Safety, Finance, IT, HR, Procurement, Security and all the rest. Next, NBN Co developed and delivered, on an urgent basis, an Interim Satellite Service to supersede the poorly performing ABG scheme. This was done by acquiring the available satellite capacity to support a 6 Mbps down, 1Mbps up, service with an Average Busy Hour Throughput considerably higher than what was being delivered under the ABG scheme. Because this was a significant improvement in remote broadband service, the take-up was rapid. And because the available satellite capacity, at an acceptable price, was limited, an upper limit had to be set on the total number of subscribers that the service could support. This was 48,000. This put a priority on the development of the Long Term Satellite Service. As you all know this type of project is technically and logistically very complex, but it is on schedule, and on budget, for the start of service by mid 2015. The solution will provide both 12/1 and 25/5 services, with the potential for even higher speeds in the future. The ABHT is about 10X that of the Interim Service, so it will be a very good solution for remote BB users. A fixed Wireless solution is also rolling out around the country and after addressing the usual ramp-up issues was performing as planned and as budgeted. Another high priority was the Transit Network, which connects the approximately 1000 Fibre Access Nodes, the Satellite Earth stations and the Wireless Access Nodes to the 121 Points of Interconnect. By the end of September the Transit project was well advanced, and on schedule to be largely complete by the end of 2015. It was also on budget, in fact, running slightly under budget. This is a major enduring asset, for the nation, that NBN Co now has in place. It will make the ongoing job of NBN Co easier, no matter what access technologies are used. Another piece of crucially important capability that has been designed and built is the OSS/BSS systems. These provide for the management of Physical and Logical Network Inventory, Address Management, Activation, Assurance and Billing as well as a host of other capability. These systems have been developed and have been tested at scale. They are another major asset that NBN Co now has in place. For the CEO of a Telco the development of major OSS/BSS capability can be the stuff of nightmares. It was these large IT systems that I most feared would be the bottleneck in rolling out services on the NBN. Large public IT systems such as these have caused their fair share of grief. Which is why I would like to pay special tribute to the NBN Co CTO and CIO teams, together with the vendors and partners who developed and brought these complex systems into operation. The National Test facility in Docklands in Melbourne, and the experienced and capable people who staff it, also played a vital role in that success. They ensured that each release of these IT systems was interlocked with the network releases, and then thoroughly integration tested. Before I move on to talk about the fibre access network I want to mention another major achievement of NBN Co. This was in getting the Product and Pricing structure in place. This structure had to be encapsulated in Wholesale Broadband Agreements. These agreements were signed by a large number of Retail Service Providers, after extensive consultation and negotiations. In parallel, a 27-year long Special Access Undertaking was developed. This required an enormous amount of work, both on the part of the ACCC, and NBN Co. The SAU was very close to finalisation by the end of September. From the beginning, NBN Co aimed to set its wholesale prices, at a level that would allow Service Providers to set their retail prices in line with existing BB services. So that they could offer better NBN-based services, for the same price. NBN Co worked hard to ensure RSPs could earn a reasonable margin, while providing the Government with a return acceptable to them. This slide, which was used at the Joint Parliamentary Committee hearing back in April  shows the outcome. Our aim was to have the envelope of the solid lines and the green area overlap. You can judge for yourself whether we got the wholesale pricing right. Let me now turn to the Fibre Access network. The Government gave NBN Co the responsibility, from January 1, 2011, to deliver FTTP services to New Developments, of over 100 lots, anywhere in Australia. Given that NBN Co did not have a network at that time, this was, to put it mildly, quite a challenge. But our shareholder was confident that we could find a way to do this, and of course, we did. But not without some pain. A cabinet-based FAN had to be developed and tested very quickly. And we had to find a way to get fibre to any location anywhere in the country. A large percentage of those locations were beyond the existing available fibre network so a new fibre path, of 5 to 6 kms typically, had to be built. After overcoming these challenges, NBN Co was connecting, by the end of September 2013, about 30 new developments per week. A critical measurement for us was the number of occupied premises for which NBN Co could not provide a service. We expected that number to hit a peak of about 5000 premises. The peak ended up being 3800 in September 2012, and was below 800 by the end of September 2013. I expect it would be even lower today. So this project followed the usual trajectory - it looked pretty daunting at the start, but the people of NBN Co found a way to solve the start-up problems, and ramp into a scale roll-out. This involved running the fibre from the pit or pole into the premise via a Premise Connection Device, usually mounted on an outside wall, and then connecting up the Network Terminating Device (NTD) in the premise. That final step of the NTD installation normally took place after an order had been received from a Retail Service Provider. A lot of effort was put into reducing the period, from an order being taken by NBN Co, to the customer being activated. 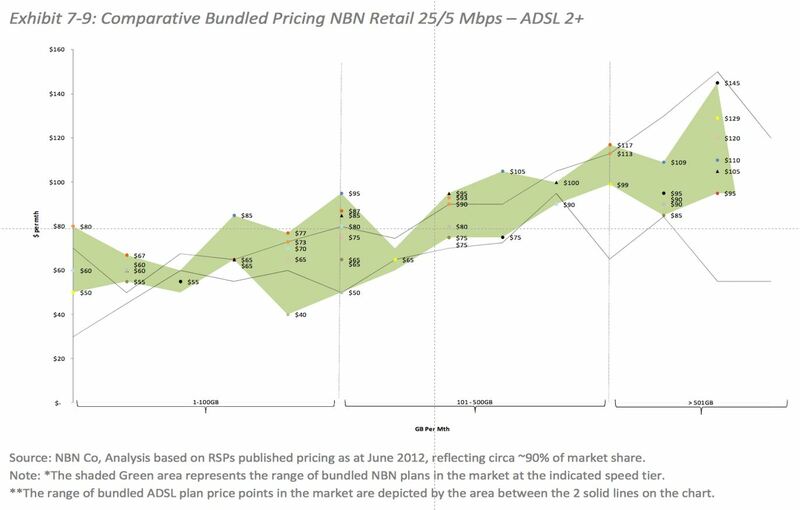 Just as for Greenfields, there was a range of issues at the start, which were tackled by NBN Co and its partners, and by the end of September the activation rate was really picking up. This was a challenge, due to the unprecedented demand in some areas. So it was a constant struggle to avoid unacceptably long lead times. But more efficient and productive processes were being put into place almost every week. 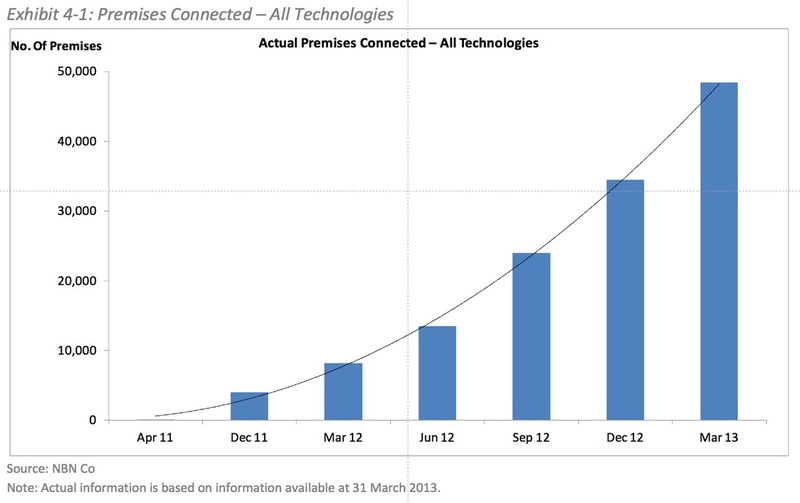 The above slide (Figure 4), from that same JPC hearing, shows the number of premises or customer connections that had been activated by the end of March 2013. You can see that it is a little under 50,000. By the end of September that number was almost 100,000. In other words, NBN Co completed as many customer connections between March and September as were completed in the years up to the end of March. This is another good illustration of why it is invalid to extrapolate, into the future, numbers, whether they are number of connections, number of premises passed, or LN/DN costs, based on what has been achieved prior to, or during, the ramp up phase. At this point, I should mention the problem of connecting customers in Multi Dwelling Units. I think everyone here knows that cabling apartment blocks in Australia is a challenge. This largely caused the ?Service Class 0? issue, which has received a bit of media coverage. It was also a challenge for NBN Co. By the end of June 2013 there were less than 500 MDU buildings that had been fully cabled with fibre. By the end of September that had increased to well over 2000 buildings. It was following the usual curve of being slow to start, but once the process is sorted out, the output increases rapidly. While we are talking about customer activations let me spend just a moment updating you on how take-up was really going on the NBN. Again, Figure 5 is a slide used at the JPC in April. It shows the take-up, in each FSAM Fibre Service Area Module), after NBN services became available. An FSAM is, on average, about two and a half thousand premises. The take-up percentage is on the vertical axis and the weeks since the FSAM switch-on is shown on the horizontal axis. - 35% within 20 weeks and 50% within 40 weeks. These were exceptionally high take-up rates compared to anything we saw overseas and reflects, I think, the strong demand amongst Australian consumers for a better broadband service. 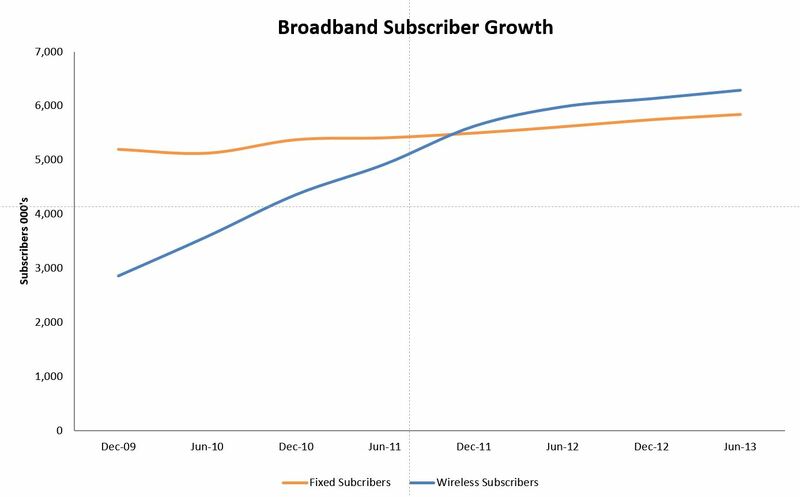 As we reported at the Senate Estimates in May, NBN?s average take-up was 33% in FSAMs active for more than 6 months. 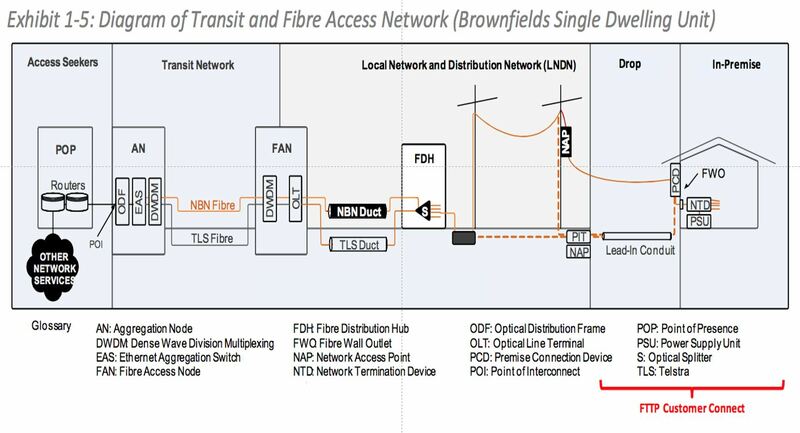 Now I will turn to the Brownfields LN/DN project, which as you may know is the activity that caused the greatest problem for NBN Co.
Just to remind you of which part is the LN/DN (Local & Distribution Network), I will put a previous slide back up - see Figure 3 again. The LN/DN project consisted of getting the fibre from the FAN (Fibre Acces Node) site, where the GPON multiplexer is housed, to the pit or pole outside a premise. This Local and Distribution Network is where NBN Co made extensive use of Telstra?s duct and pit network and some use of power utilities? poles. The first phase of the LN/DN activity was a top-level design, done by NBN Co using the GNAF address database and the National Duct database. Combined with other tools such as Google Maps. To optimise the LN/DN design, NBN Co built a relationship with a small Australian company, called Biarri. Their expertise was in building mathematical applications and tools for complex optimisation problems. The problem that NBN Co was trying to solve with the Biarri mathematicians, was a bit like the travelling salesman problem, but on steroids. With Biarri?s help we saved a lot of money. It is a great example of a small, but technically sophisticated, Australian company adding real value to a larger enterprise. The job of the NBN Co construction partners was then to produce a Detailed Design requiring them to go into the field, rod and rope the ducts, inspect the pits and ensure that the FSAM design was constructible for the costs they quoted. It was generally agreed that is made sense for the same company that did the Detailed Design to do the actual Build and Test of the FSAM, so that there were no hand-off problems. Experienced showed that those construction partners who used their own employees rather than subcontracting out, usually got a better outcome. We understood that other types of linear infrastructure projects, with geographically dispersed worksites, such as coal seam gas, were having similar issues. As result of the problems we moved from a model using only traditional Tier 1 construction companies to one in which we used Tier 1, Tier 2 or Tier 3 companies. With either a Tier 1 or NBN Co doing the Detailed Design, and either a Tier 1 or NBN Co supervising the subcontractors. We also attempted to limit any multiple layering of subcontractors. I want to stress that there were a number of the Tier 1 construction contractors who, after working through some start-up issues, were getting on with the design and build. Doing it successfully, with good quality and making money. However, in the Northern Territory, where no FSAM was completed 18 months after contract, NBN Co stepped in as the primary contractor itself and built the first NT FSAM in 7 weeks. While this problem with the LN/DN Design and Construction was a significant issue, due to the scale of the work, NBN Co was taking the steps required to solve the problem ? as we had done for every other problem that we experienced. But I want to be very clear on this point. Neither I, nor my management team was prepared to use taxpayers? money to spend our way out of the problem. As tempting as it may have been, we were just not prepared to do that, even if it would have made our lives quite a bit easier. Were we prepared to increase rates when there was evidence that the negotiated rates were too low? We were also prepared to compensate, pay variations or provide extensions or relief for problems over which our construction partners had little control. Such as delays caused by NBN Co in getting all the database issues sorted out for the top-level designs. These rate increases would obviously have pushed up the costs of the LN/DN if we had not identified, and were prepared to execute on, other identified savings. But of course we were. This is a normal part of running a company. You are constantly looking to find areas where things can be done more cost effectively. These savings can then be used to offset any areas where costs have gone up. We did precisely this in moving from the December 2010 Corporate Plan to the August 2012 Corporate Plan. In that move from December 2010 to August 2012, we discovered a very large financial exposure resulting from the analysis we, together with the Implementation Study team, had done in estimating average premise frontage distances. Together, using the existing databases, we underestimated those distances by about 15%. This translated into a very large amount of money, and I mean large in NBN terms. But fortunately, we had also evolved the network architecture from Type 1 to Type 2, which saved even more money. So this underestimate did not impact the August 2012 Corporate Plan. With our LN/DN rate increases, we had exactly the same situation. Increases in the LN/DN rates would be offset by other cost reductions. And I am not talking about speculative cost reductions, where you say to yourself: ?oh, we need to find $2Bn in savings, somehow?. I am talking about savings that had already been identified, such as smaller diameter cables that had already been designed by cable companies; reduced and more efficient testing; smaller footprint multi-ports that had already been designed; reductions in fibre counts; and corrections in planning tools that allowed smaller mandrels and greater fill ratios for ducts. We called these changes our 2.x architecture. 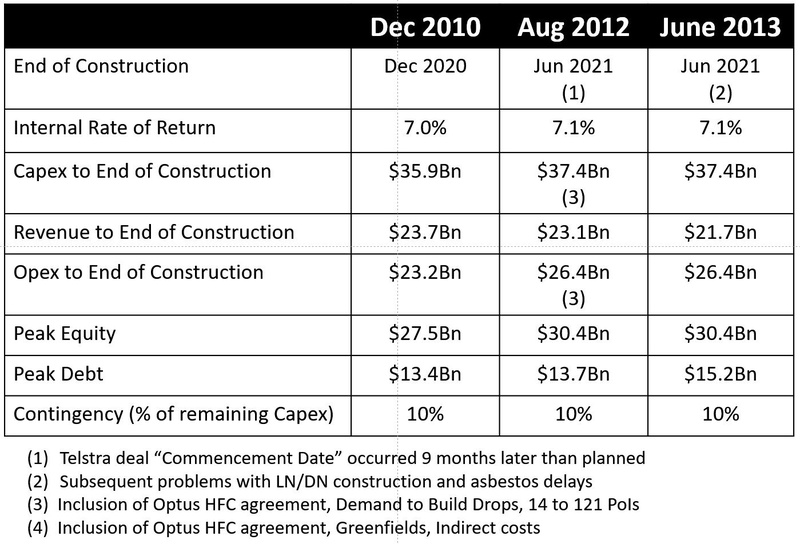 At the end of September, NBN Co was on track to implement these cost reductions, as any sensible company would. So, let me be clear. Rates to build the fibre network based on the existing design and architecture were rising. But those rate increases would not have produced a cost increase because we had identified and validated, network and design changes that would have offset those increases. Which is why I find it incomprehensible to hear the suggestion that the increases in LN/DN rates should be built into the forward projections and cost reductions that have already been identified, should not be. Unless, of course, your objective is to try to confirm a pre-conceived position. Building from scratch a company of close to 3000 people, with all of the processes and systems needed. Launching a successful Interim Satellite service. Building a Long Term Satellite solution that is on schedule and on budget for services beginning in mid 2015. Rolling out a Fixed Wireless network. Building a Transit Network to support all access technologies, which is on budget and on schedule for completion by 2015. The Development of OSS/BSS systems that have been proven to function at scale together with the establishment of a National Test Facility and a Network Operations Centre. The successful development and launch of a suite of Products covered by WBAs. And hopefully, any day now, the finalisation of a 27-year SAU. Building of a Greenfields fibre capability that can complete more than 30 new developments a week, anywhere in the country. Building a Customer Connect capability that had connected more than 100k end users and which was rapidly growing the ability to deal with the exceptionally high take-up rates that were being experienced. And finally, a growing capability to build the LN/DN component of the Brownfields network at a cost that preserves the integrity of NBN Co?s financial plan. 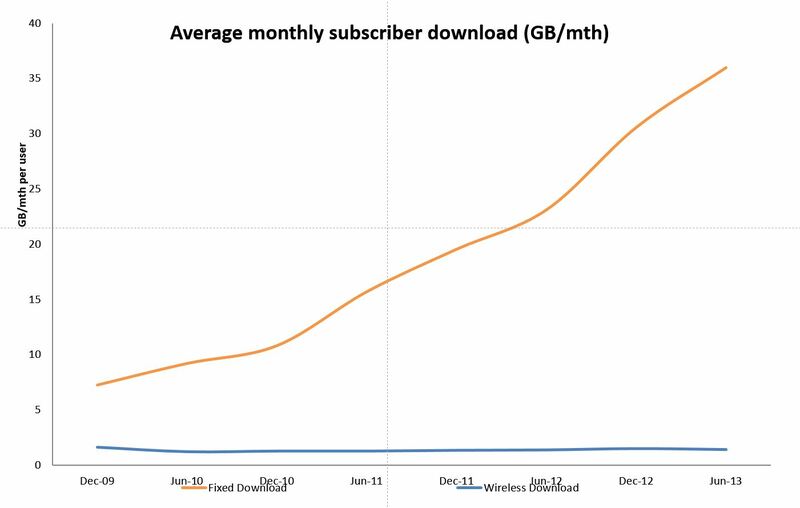 Figure 6 shows the growth in broadband subscribers, and Figure 7 shows the growth in average monthly subscriber downloads, up until June 2013. People in the telco industry, as many of you are, know that any one of the projects NBN Co was undertaking ? Satellite, Fixed Wireless, Brownfields, Greenfields, the Transit Network, a major OSS/BSS development, a new wholesale product and pricing structure plus a 27-year SAU ? would be a major challenge for even a mature telco. NBN Co was doing it all simultaneously, from scratch. It was made a bit easier because the people who joined NBN Co, were largely motivated by the project itself. They were there, especially in the early years, because they wanted to make a difference, because they believed that high-speed ubiquitous broadband was important to the future of Australia. They wanted to build something of lasting benefit. In achieving what it did in four years, NBN Co could rely upon the competence, professionalism and expertise of its many vendor partners. And there is one partner whom I have not yet mentioned. And that is Telstra. As you all know, the deal that was done between Telstra and NBN Co was critical to the success of the NBN. The basis of the deal for NBN Co was pretty simple. Our aim was to make the job of building the NBN much simpler and much cheaper, and at the same time to significantly de-risk the business case. There were two big risks with the plan for an FTTP based NBN. The first was the massive amount of civil construction required if we had to virtually duplicate Telstra?s existing pit, duct, lead-in conduit and exchange buildings. The second big risk was the revenue line in our Corporate Plan, which was highly dependent on the take-up that we could achieve. The Telstra deal solved both of these problems. It allowed NBN Co to use Telstra?s remediated civil infrastructure, and it allowed Telstra to shut down their copper and HFC broadband networks and move their fixed line traffic across to the NBN. So this deal simultaneously saved NBN Co billions of dollars in construction costs and provided billions of dollars in benefits in long-term revenue. And these benefits were net of the consideration paid to Telstra. Why was the deal so hard to do and why did it take so long? Because it was both unique and very complex. It also involved complex regulatory and industry structure considerations. In the end I think both parties struck a good deal. Telstra got to monetise assets that they couldn?t otherwise monetise and they got fairly compensated for their wholesale revenue loss. NBN Co saved, net of payments to Telstra, billions of dollars in construction, and got the benefit of the transferred wholesale revenue. Obviously the increased LN/DN construction rates, which I talked about earlier, meant the deal turned out to be even more valuable to NBN Co, than was originally calculated. I would like to acknowledge the level of co-operation and professionalism that Telstra displayed. For example, Telstra provided information on, and access to, some critical infrastructure before the deal could be finalised. 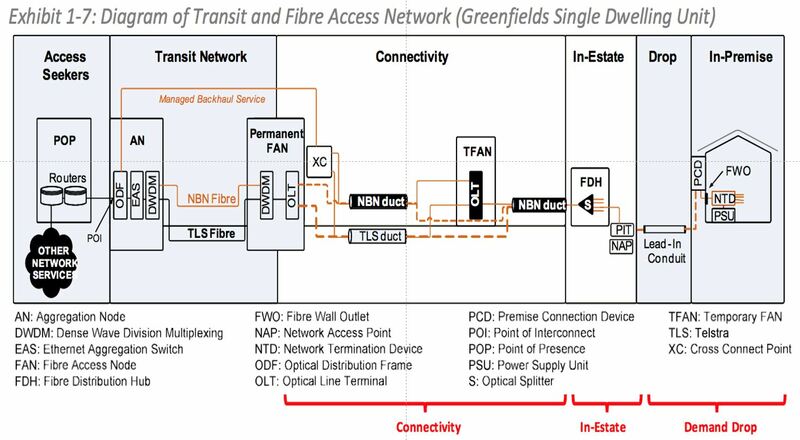 This was of great help to NBN Co in building the Transit Network. And again, when the problems with asbestos arose, Telstra did all they could to re-arrange priorities to assist us. So, my thanks to Telstra for the level of co-operation and partnership that they worked so hard to build. Let me now try to bring all of these pieces together. This is best done by summarising the various Corporate Plans developed by NBN Co over the last 4 years, as shown in Figure 6 below. The original Dec 2010 plan was put together about 18 months after the company got started. We had to assume dates for some things that had never been done before and for some things that were outside the company?s control. One of those was the Commencement Date for the Telstra deal, which occurred 9 months later than we had assumed. This was the main reason that we had to shift the project finish date back by 6 months when we produced the August 2012 Plan. We also had some major changes in scope between December 2010 and August 2012. Including the Optus deal, the move from Demand to Build drops, the inclusion of the Greenfields requirements and the change from 14 to 121 PoIs. These resulted in the $1.5Bn increase in Capex you can see between the two plans. But, what is not visible, is that we had some even bigger Capex shifts in moving from the Dec 2010 Plan to the Aug 2012 Plan. We had large cost increases due to greater frontage distances I mentioned previously. But these were more than offset by the large decreases in Capex resulting from the shift from our Type 1, loose tube based architecture, to Type 2, ribbon based architecture. I have also included on this slide the changes from the August 2012 Plan to the June 2013 Plan. I can show you these numbers for the June 2013 plan because they have already been made public. We did have to advise the Government in September that the issues with the LN/DN construction combined with the remediation stoppage would move the construction end date from June 2021 to December 2021. The effect on the financials of that six month shift in the construction end date was that revenue returned to $23Bn since there was 6 months more revenue, but Opex increased by about half a billion dollars due to the extra six months of operating costs. The Capex spend is spread across a 6 month greater period which leaves the total funding and the IRR unchanged. The contingency was also unchanged. Just to re-emphasise a previous point ? our December of 2010 Corp Plan contained a capex contingency of 10% or about $3.6Bn, the last plan which was submitted in Sept retained the same level of contingency. If the Management team had any doubt about offsetting the increased LN/DN rates by the cost reductions we had planned, we would have made use of some of that contingency. We had no such doubts. What is remarkable is how little the financials changed over the 3 years. The biggest change was the cumulative 12-month delay. And the increases in Capex and Opex due to the Optus deal. The Optus deal was of course a net benefit to NBN Co. I am sometimes asked why was I not more conservative, why didn?t I give myself more time. Well, there were several reasons. The first being that there were already public commitments made before NBN Co got going. The management teams of publicly funded infrastructure projects are not in control of the delivery timetable they are held to ? something, it seems, NBN Co will continue to grapple with. But a more important reason was that this wasn?t a project where hedging your bets, sandbagging and conservatism was going to work. This was a big ambitious project that required setting of aggressive targets. And a management team that were prepared to drive the company, to hit those targets. The NBN Co management team was not naively optimistic. They collectively had a good deal of experience in building Telco networks. Was it likely that we were going to hit all of the targets we set ourselves, given the complexity and scale of the project, and the number of issues that were outside our control ? Of course not, but the NBN Co management team decided it was not going to play the game of setting low targets. The best way to ensure progress, was to set ambitious goals and drive forward aggressively, uncovering and fixing issues every day. While, at the same time being cautious and prudent in our financial assumptions, including protecting the capex contingency. We were well aware that we were going to hit many obstacles. We also knew that, for a variety of reasons, there would be deliberate efforts to impede the progress of the NBN. I will give you just one example, as I do not want to dwell on this. There were hours of questioning and debate regarding the process the company was using for its satellite orbital slot assignments. We were following the stock standard ITU-based process, which is followed by all satellite projects I have seen. But there were repeated assertions that we were putting public money at risk - because we placed orders for the construction of the satellites, before the ITU process had come to an end. Which was the usual process. If we had given way to this pressure, the only outcome would have been to delay the provision of a better satellite service to those Australians who so desperately need it. Unfortunately, not all the distractions could be pushed aside, as we did with this satellite example. Which is a pity, because there is no doubt in my mind that NBN Co would have been more successful if it had enjoyed bipartisan support. 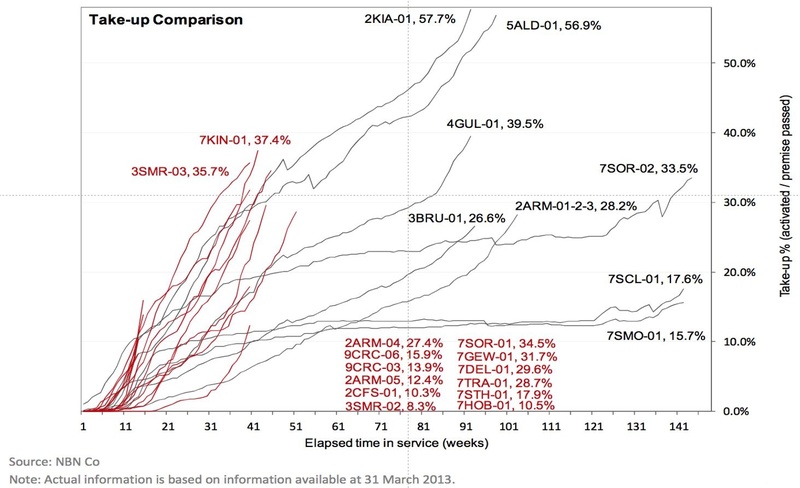 The NBN is not a typical incremental project being undertaken by an incumbent telco. In a country like Australia no telco would undertake this job without Government involvement. So it truly is a national investment. Whether you build an FTTP network or an FTTN network, there are risks either way. You can run the risk of building more than Australians will want or need in the future. Or you can run the risk of building less than they may want or need. This risk exists because an FTTN network cannot easily be upgraded to FTTP in an NBN environment. Do I personally think that an FTTP network is a better technical and economic option and a better investment for our country? Well of course I do. But that is now irrelevant. Are there going to be challenges in implementing an FTTN policy as described? Of course there are. But no doubt work-arounds of one sort or another can be found. Even with all the work that has been done on the Transit, Satellite, FW, Greenfields, OSS/BSS, Product and Pricing and SAU, and the fact that you have a fully functioning company at your disposal, you do not have a minute to lose. Do not waste your time being party to a re-writing of the FTTP business case using nonsensical assumptions aimed to prove a pre-determined outcome. That will only further politicise the project and ultimately delay you. Even though I live in the middle of Sydney, my current peak speed on my ADSL2+ service is about 8Mb/s. An increase to 25Mb/s by 2016 and to 50 Mb/s by 2019 would be an improvement. So, like many other Australians, I do hope that NBN Co, under its new management, can make that happen for me.